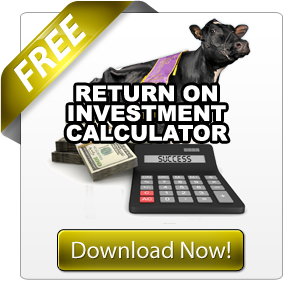 Most of the time when you are evaluating sires they fit into certain market segments. 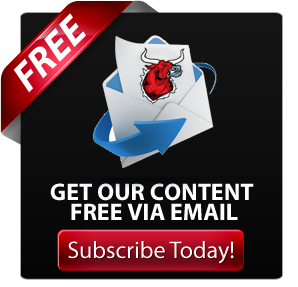 There are those sires that work well for commercial breeders. A different style of animal becomes very popular with the high index seed stock producers. And then there are those sires that get show ring enthusiasts all excited. Very seldom do you find a sire that appeals to all three types of breeders. VAL-BISSON DOORMAN has been able to achieve exactly that. 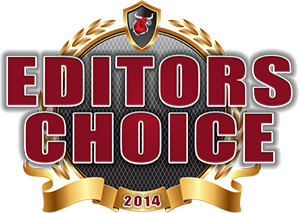 Doorman debuted with his first genomic proof in the top 10 in the USA for +2439 gTPI. That got the index crowd excited about him. He also had a +4.59 PTAT which caught the attention of many of the show breeders. He also was +4.2 for PL and had a low 2.51 SCS with positive components which made him a great sire for mating programs. That helped him catch fire with commercial breeders. Doorman was indeed making a relatively unknown cow family world famous. Elyse and Jean Gendron, like many young breeders from Quebec, had the dream of one day putting a sire into an Artificial Insemination unit. So in 1991, Jean purchased an early Blackstar daughter in Canada, LOGANWAY BLACKSTAR DAILY from Albert Cormier as a bred heifer. Daily went on to score VG 86 as a five year old and produced over 189,122 lbs. in five lactations of 3.7% fat and 3.3% protein. Not yet to bull dam status but certainly Daily started to prove herself as a brood cow as she earned six stars with four VG daughters. It was Daily’s granddaughter, VAL-BISSON RUDOLPH DAKOTA VG-88 9* that would be the first in the family to receive bull dam status by sending a Morty son, VAL-BISSON DOMINGO, and an Inquirer son, VAL-BISSON DRAKAR to Semex. Dakota could also milk. She produced a 365d lactation of 29,974 lbs of milk as a yearling with 3.8%F and 3.3% P and then followed it up with a 2nd lactation of 365d 31,765 lbs of Milk, 3.8%F 3.3%P. She also was able to prove herself as a brood cow, with 15 classified daughters; 10 scored VG and 4 GP. 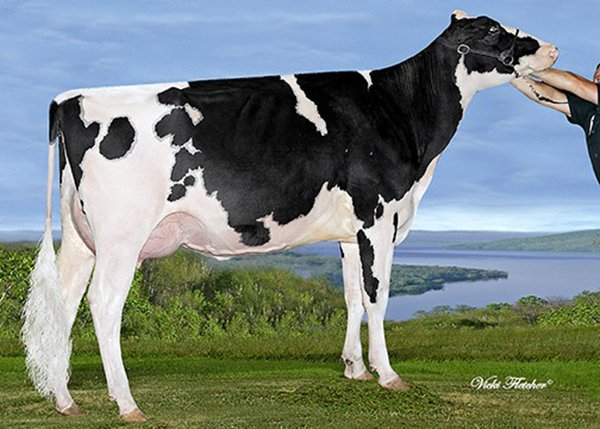 Most notable of her daughters was VAL-BISSON FINLEY DREAM VG-87-6YR 13* with a superior lactation and 122,285 lbs of lifetime production (4 lactations) of 3.2%f and 3.2% protein. 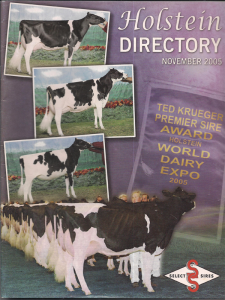 Dream was a very stylish heifer winning 1st Intermediate Yearling at Pont-Chateau in 2005. It was at that same time that Goldwyn had just received his initial daughter proof, so Else, and Jean flushed Dream as a heifer to Goldwyn producing an EX-91-2E and two VG-88 daughters. They liked that cross so much that, even though these Goldwyn daughters were just heifers, they used Goldwyn again on Dream producing VAL-BISSON GOLDWYN MAYA. Maya would go on to score VG-86 as a six year old and earn 17*. Gendron’s at this time also took part in CDN’s pilot project for Genomics. Participating in this program, the Gendron’s learned that Maya was the highest of all the Goldwyn daughters from Dream. 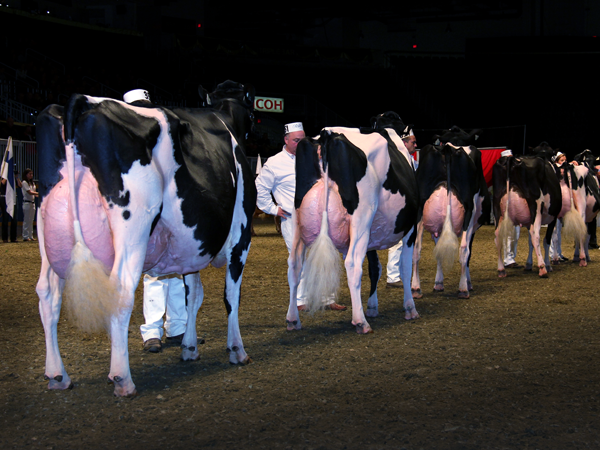 The highest scoring daughter of Maya was a Shottle daughter, VAL-BISSON SHOTTLE IMELDA, who scored VG-89 as a four year old for her new owners, Ferme Blondin. Dann Brady, Sales and Marketing for Ferme Blodin comments about the purchase of Imelda, “At the time we were wanting to get into genomics but were also looking for the right type and pedigree. Doorman had just received his genomic information, and we were really impressed. We also loved the cow family and thought Imelda would be the one to get us into genomics.” The purchase of Imelda has certainly paid off for Blondin in a significant way, “Imelda is one of the most popular cows on the farm! She currently has a number of embryo contracts and has sold every embryo she makes. 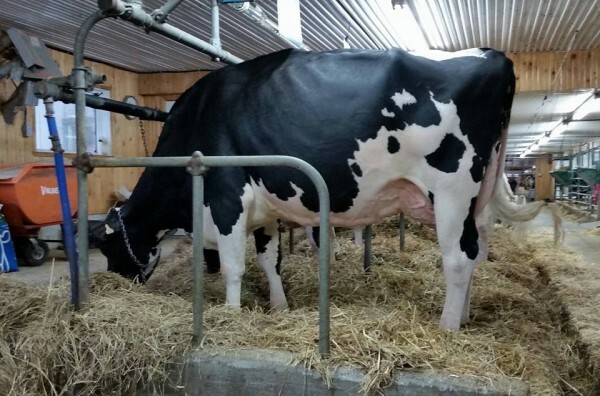 Since we showed her earlier this year at the Quebec Spring Show and, with the popularity of Doorman calves around the world and the release of her high type RC son Integral, she has been attracting a lot of attention”, comments Brady. 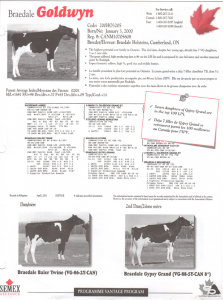 (Read more: FERME BLONDIN “Passion with a Purpose Builds Success”) Before selling Imelda to Blondin in early 2012, Elsye and Jean mated her in late 2010 to Bookmen at the recommendation of Theirry Laberge. The result from that cross was Doorman. The Story on Doorman’s Evaluation. Doorman is certainly a sire that has benefited greatly from the introduction of Genomics. 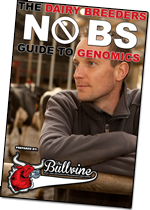 His non-genomic parent average would have been +2915 LPI and +2168 TPI with a 12 for Conformation and +2.88 PTAT. 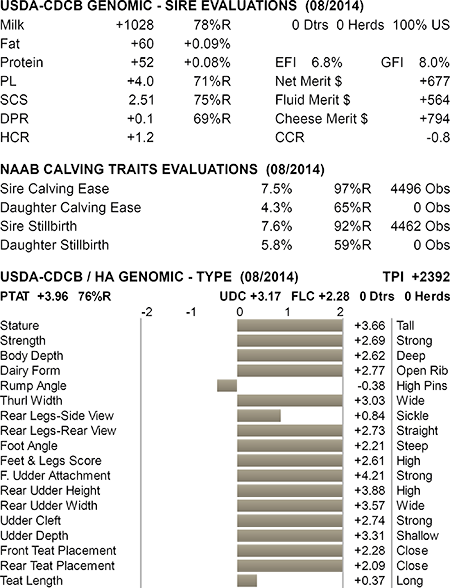 Instead, he finds himself over 10% higher on his composite indexes and 40% higher for conformation. It’s that significantly higher evaluation for conformation that has taken Doorman from being a good commercial sire, with high overall index, into a very popular sire for conformation. He is currently #33 of the NAAB Active sires for PTAT and is #14 of those born in 2011 or earlier. Index and commercial breeders will want to protect Doorman on his overall production (+2018 lbs Milk); He does improve components (+.09F and +.08%P) and will lower SCS (+2.51). He is not a high DPR sire (+0.1 DPR) but has a solid heifer conception rate (+1.2 HCR). He will indeed offer significant type improvement, especially in the mammary systems (+3.17 UDC). Given his success in the show ring, it’s no surprise that he is a high stature and size sire (+3.66 Stature, +2.69 Strength, +2.62 Body Depth). One area where most breeders would want to protect him is on his rump angle, high pins. While certainly very well suited for the show ring, those high pins may be something for commercial and index breeders to watch for. He does have Planet, Shottle, and Goldwyn in his pedigree, so those of you concerned about inbreeding should use Doorman wisely. Doorman has also been producing some extremely high index progeny. His top genomically tested sons include Ladys-Manor Doors Open (+2619 gTPI) from Ladys-Manor Dorcy Oda TY VG-88 the #2 gTPI cow on the locator list. 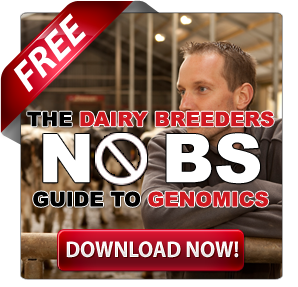 Males also testing high are Coyne-Farms Doorman Eric (+2541 gTPI) from the MS ElectressVG-88 DOM cow family and EDG Brinkworth Door 8386 (+2517) from the Gen-I-Beq Shottle Bombi EX-92 94-MS cow family. High genomic testing females include Kings-Ransom Doorm Dina from the Kings-Ransom Baxter Dolly TY VG-85 cow family; Silverridge V Doorman Erupt (+2576 gTPI) from the Wabash-Way Evett ET VG-86 cow family and Coyne-Farms Doorman Faith (+2558 gTPI) from the Honeycrest Shottle Faith-ET EX-91 cow family. What actually has people talking about Doorman these days is not his evaluation but rather his daughters. Breeders love their Doorman calves. 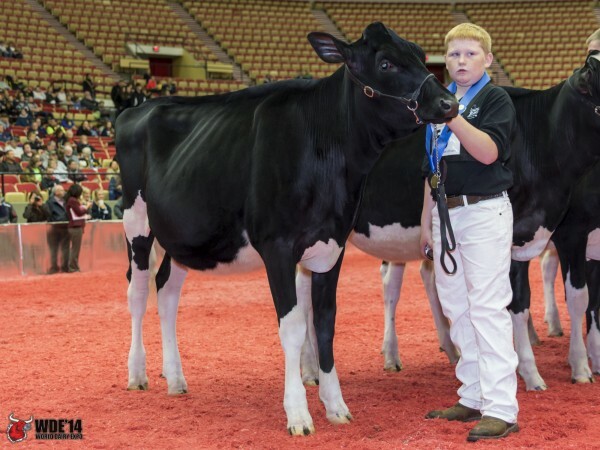 In our recently launched dairy breeder discussion group, The Milk House, (Read more: Introducing The Milk House – Dairy Breeder Networking on Facebook) noted cattle dealer Jack Lomeo Jr was asking fellow breeders about what they thought about Doorman daughters and the result was an outstanding endorsement of the sire. With many commenting that their rumps where better than expected, with not as high a pins as his genomic proof would indicate. 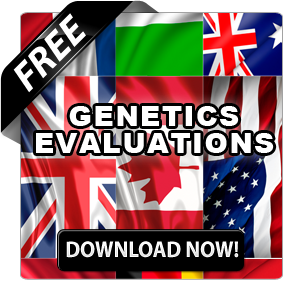 Any sire with a sky high genomic test will catch most breeder’s attention. However, it takes outstanding progeny and a very balanced evaluation to become an international sensation that is opening new doors the way Doorman has.